The Digital Arts & Culture program offers numerous options for careers in a number of positions across government, non-profit, and private sector organizations, in all types of settings. Students are given opportunities: to develop skills and understanding of new knowledge production and research methods; to operate with confidence as media practitioners and global communicators with a diverse range of media literacies; and to collaborate and contribute as creative problem solvers using digital media in a networked culture. 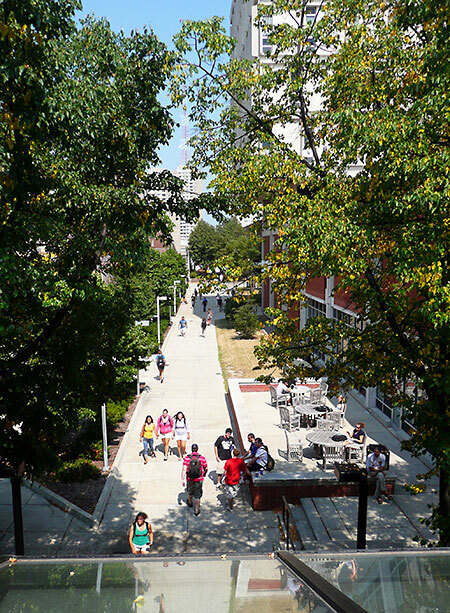 UWM is the top transfer destination in the University of Wisconsin System, and it’s easy to see why. Our urban location, internship experiences, academics and expert support make UWM a great place for a top-notch education and a jump-start on your future professional success. If you are interested in transferring to UWM, please visit the: Undergraduate Admissions – Transfer site. If you have questions about the application process, would like to sit in on a class or take a tour, or just want to talk to a representative to learn more, please contact us at (414) 229-7711 or send us an email at the address let-sci@uwm.edu.